Tonal Tools blends old and contemporary approaches to tonal music. Nine ‘components’ serve as keys to a more aural, creative and tangible approach in any tonal idiom from the very start. Interweave Tonal Tools with your usual practicing habits or teaching methods. Develop according to your own or your pupil’s pace and needs. Span the baroque, classical, romantic, jazz and pop repertoire using common improvisational and compositional principles. more joy in playing tonal music. 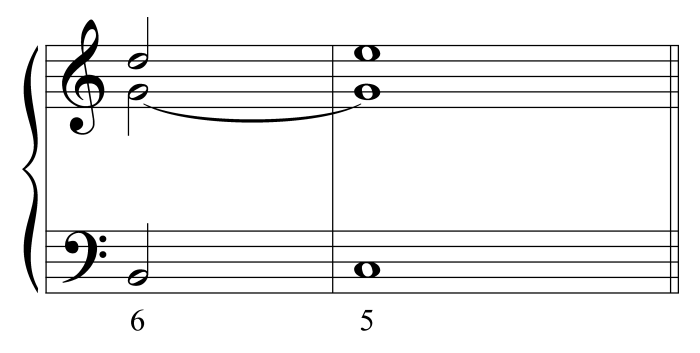 Taking a more ‘horizontal’ approach to voicing on the keyboard, Tonal Tools mainly only works with two harmonic elements: the fifth chord (5C) and the sixth chord (6C). 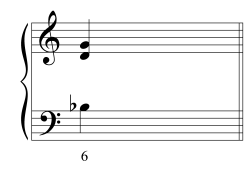 5Cs basically mark bass 1 (the tonic) and bass 5 (the dominant), e.g. 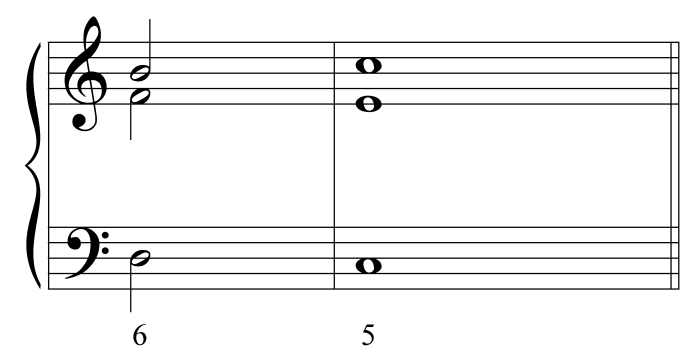 6Cs are transitional chords, e.g. All progressions can be copied on any degree of the scale. This is called sequencing. Only nine basic progressions are needed to cover most of the tonal repertoire. We call them components. 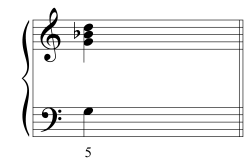 Components are basic tools for creating tonal music. They are straightforward and easy for the ear and fingers to grasp. The following improvisation on the organ (by a piano student) only uses three components: Quiescenza (+ variant Quiescenza Tertia), Scalino and Cadenza (+ variant Clausula). Don’t think of components as ready-to-use building blocks for composition or improvisation. Components may need to be adapted to cope with ‘down to earth’ musical problems.This basically means altering the component’s metrical spread, its length and shape. Extensive practice with adapting components to your musical or artistic needs is essential. Transposing key and metre are two important approaches to develop these skills. Components can be combined. Some combinations, such as the romanesca, are extraordinarily popular throughout all styles and idioms. Popular combinations are called schemata. 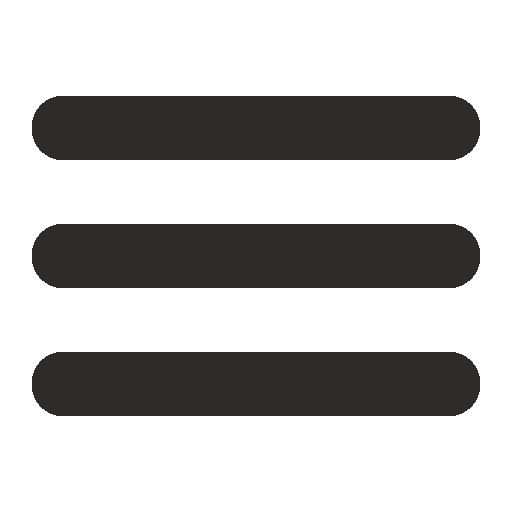 Most schemata are short (one phrase), symmetrically structured and harmonically basic. This makes them easy to remember and use automatically. When repeated ad lib, schemata are excellent tools for improvisation which make them particularly popular with teachers and performers. Do you need more information on how to deal with Tonal Tools? Buy the book and download the app.